"The history of the Australian bushranger and the legend of Ben Hall"
The story of the bushranger has captivated Australians throughout history. Ned Kelly has been the focus of much of the mythology and folklore, but many may not realize that he was not the only or first outlaw of the outback. Australian director Matthew Holmes has had a passion for the history of these men and their influence on Australian culture and its past. 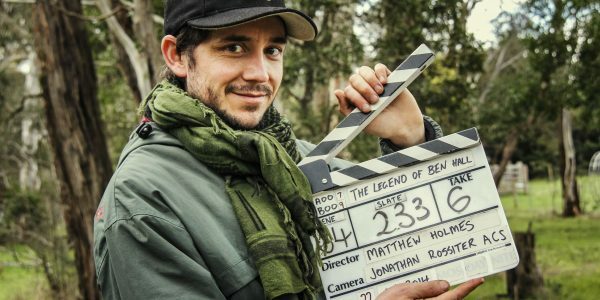 His newest release The Legend of Ben Hall has taken ten years to get to cinemas. 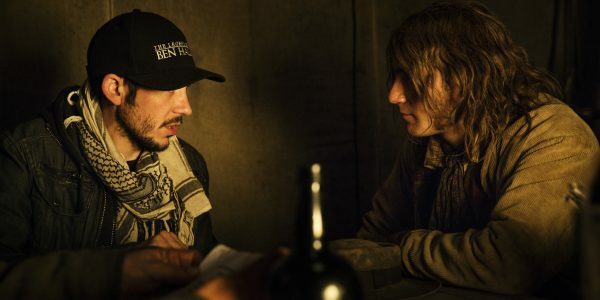 Insights Russell Matthews had the opportunity to spend some with the intriguing young director and find out what drove him to get the story of the original bushranger to cinemas. Entertainment Fuse: Welcome to you, Matthew. Ben Hall has been a passion for you for about the past seven years. Why is it that this is such a focus for you and what is it that motivated you to bring his story to the big screen? Matthew Holmes Actually, I've been working on it since 2007, so it’s almost a 10-year project for me and the film has been in production for two. 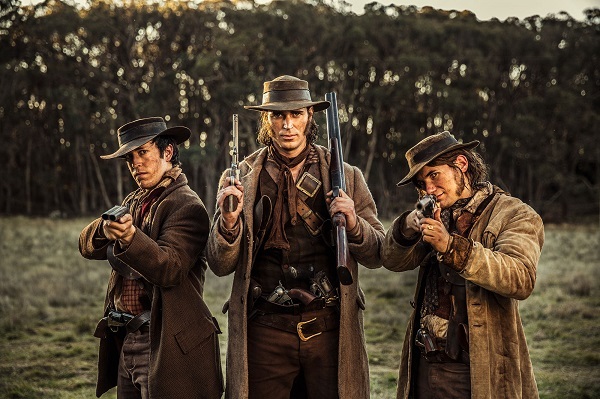 I think the passion came from a love of Australian history, and also a love of westerns. Growing up with westerns and these being a favorite genre of mine. I think loving Australian history and the landscape, and westerns, was just a natural merging of the two. I always knew, from the age of 13, when I knew I wanted to be a filmmaker, I wanted to make a Ned Kelly movie, but Ned Kelly movies have been made several times, and so, I went exploring and looking for other bush-rangers. I discovered Ben Hall and as a character, he was fascinating. I thought his story was epic. So, it begged for a movie adaption. EF: What do you think is the fascination which the bushranger? I come from the United States, and I am used to the Wild West mentality. But now, living here in Australia, the bushranger has been something that is all pervasive in our culture. What is it that appeals about the bush-ranger, do you think? MH: I think that, first of all, they're fascinating characters. And usually characters living on the wrong side of the law, have great stories, and we’re intrigued by those that do that. When you look at the origins of Australia being a convict colony, and a lot of people that came over here having a feeling of oppression of a British Colonial of the Empire. Also, there is a great cultural push to barrack for the underdog. And those that were seen to be standing up against the authorities of the police and the empire, and that’s how they viewed bushrangers. It is an Australian cultural thing to barrack for the underdog. And I think that’s probably where that bushranger empathy comes from. EF: One of the things that I really appreciated about the film was your affinity for accuracy within the history. Some directors may take artistic license with history to get their film to the big screen. But your attention to detail, even down to the look of the actors was important to you. What made this a passion for you? MH: Well, I set out to make the kind of Ben Hall film that I wanted to make. And I would want one that was accurate. It’s important to me because it is a true story, that if it got told, and it be true. That way if people watch the film, they're entertained, and they’re amazed by what they saw, they can just gather the story in more detail, and realize that what we told them was accurate. It wasn’t fanciful or twisted and we did not try to bend it into something that it wasn’t. We just wanted to present the history as it was, in all of its flaws and all of its glory. And it was just something that’s important to me as a viewer and as a filmmaker. So, I really tried to satisfy that in myself, and what I'm finding is that other people are hugely appreciative that we’re told the story in a way that’s truthful and accurate. Not biased and just shows it for what it was. EF: In the study of the history, Were there any surprises about any of the characters? MH: Surprising... From the moment I opened a history book, I was surprised. I couldn't believe that there as so much of this history that I never knew about, and it was just so vast and epic and full of gunfights, and adventures, and twists and turns, and betrayals, it was stunning – stunning history. As for the characters, Australia has this perception that bushrangers were all these hard done by guys and fighting against oppression. But then, you realize a lot of these guys were just crooks and thieves and outlaws. Similar to Jessie James and Billie the Kid, and I saw a lot of parallels with the American West, but I also saw a lot of mythology around the characters that was unique to Australia. And what I tried to do, was actually try to deconstruct the mythology, and take all those yarns that have grown out of the legends of these characters, and actually bring it back down to its roots and make it real again. Yes, that’s probably the most fascinating thing for me, was just that these guys actually existed, and up until now, I didn't know about it. As an Australian, I was surprised. And now, I get the chance to show many other thousands of Australians, things that they probably never even knew existed. EF: Yes, that’s true. I mean, I've talked with so many different people who have never heard of Ben Hall, and so, they all of a sudden see this and see, kind of, a new character that they're actually able to look to and consider in their history. One component of Australian history has a tendency to be very dark. But with the inclusion of the John Gilbert character, I felt that you were able to add in a bit of lightness and humor. What about this story is uniquely Australian or different than typical Hollywood films? MH: What’s different? I think there was a lot of the differences when it came in our approach. I try to let the history do all the dictating, and let the characters do the dictating of how we approach the film, rather than trying to take the history and attempt to conform it into a conventional Hollywood style movie. But, in discovering the history, I discovered characters that had funny sides, and had very eccentric personalities. That is what surprised me about this character of John Gilbert. I know a lot of the people who watch the film are surprised by that character, they’ve never seen a character presented like this before. Many people ask if he is portrayed historically accurate or was that just some fanciful thing I did? It’s actually historically accurate. He was like that. He was a crazy guy, and he was fun loving; he was laughing all the time, and he was a bit psychopathic. You are right that a lot of Australian films have been dark, and we do have a dark history and a lot is really no darker than America’s history either. I think the parallels between Australia and America are very, very close. It’s just in the way, how do we tell? How do we tell that story? And, what I tried to do is not be too dark with The Telling of Ben Hall, even though there is a darkness to the story. But also, to bring it all the things that great movies should have, which is a great range. There should be love and hate, and betrayal, and goodness, and light and dark, and that’s what I really tried to make. A movie that had the balance of everything. You know, so you get a great night out at the movies. EF: Was there anything within the Benjamin Hall story that could be linked back to faith influence in his life? MH : Absolutely, there was faith influence. Ben Hall, from all our accounts, was a Christian man. Which is one of the fascinating things about Ben Hall as a character, was the dichotomy and this contradiction of Ben Hall. A good man who was doing bad things. But, there was definitely a conscience to him. You could see a decent man, in a situation doing indecent things, and constantly at war with himself. And we do know that he had, in a scene that was actually cut from the movie, him meeting an Anglican priest imploring him to give himself up before anything happened and had communion there with him on the road. Also, Ben Hall had a very strict code with his gang, which was: we do not kill people. EF: That’s is actually really depicted in the film. MH: Yes, we do not take lives. We do not take a life unless, you know, we’re in a situation where it’s us or them. But we don't kill people. And he kept to that, amazingly, he didn't ever kill anyone. Ben Hall, was reported to know that what he was doing was wrong and there was a faith side to Ben Hall. I think that’s probably one of the reasons why there was this morality to him, and this understanding of what was right and what was wrong and the struggle he had within his soul. Whereas characters like Johnny Gilbert, who... he seemed to be a completely unrepentant criminal, and he didn't care, and he did whatever he wanted: killed people and took what he wanted and did what he wanted to do. And again, it’s strange that Ben Hall would team up with someone like that, but that’s the fascinating contradiction of the character, and that’s what drew me to him from the very beginning. EF: I think characters that have the multiple layers and are not necessarily perfect are truly appealing to audiences. To finish, What do you think would really compel them to go see it in the coming weeks? MH: Sure. Well, look, on one level, it’s... it’s, you know, it’s a really gorgeous looking movie. 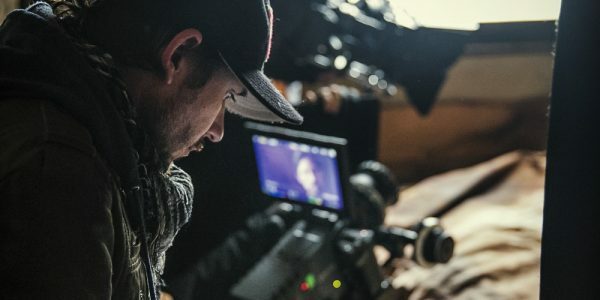 We have a fantastic cinematographer; we’ve gone to some amazing locations, and people are going to see a side and a landscape of Australia that they're not used to seeing. Where we’re used to seeing the red dirt of the outback, and everyone thinks that’s Australia’s outback. But this film looks at, you know, lush rainforests, beautiful rolling hills with... windswept hills with rocks on it. The landscape certainly is a big attraction for people who really want to see something visually appealing. But also, I think this is... this is the discovery of something new. We live in a world where we’re watching endless prequels and franchises. And we’ve seen Ned Kelly story done to death. But, this is something that’s genuinely unique. There has never been a feature film on Ben Hall before and this story has not been told. This is a chance for people to see something new and embrace something and discover, and that’s what I think we offer more than anything. EF: I’d really encourage people to along and see this, especially from a historical standpoint. And also, I think you really can enjoy. We look forward to seeing what your career does, but also, we’re looking forward to hearing more about the legend of Ben Hall and we hope it goes well for you.